2015 was an interesting year for Frogwares. A year filled with changes and a variety of good things. After turning 15 years old, and many adventures, the studio decided the time had come to approach games differently. We believe that the game creation tools available to us today, along with our experience and our desire to innovate –as we did with Sherlock Holmes: Crimes and Punishments– should lead us to creating bigger, deeper games. Our followers must have already watched the amazing cinematic trailer for Devil’s Daughter we unveiled a few days ago, and now we have more news for you..
First of all and as you must have already noticed, we have a new web site that should allow us to better communicate with you and keep you updated about our games. 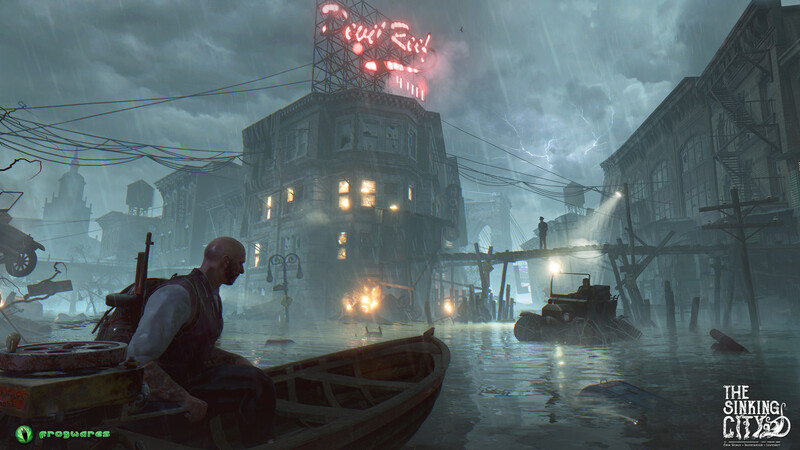 Then there is the Sinking City. 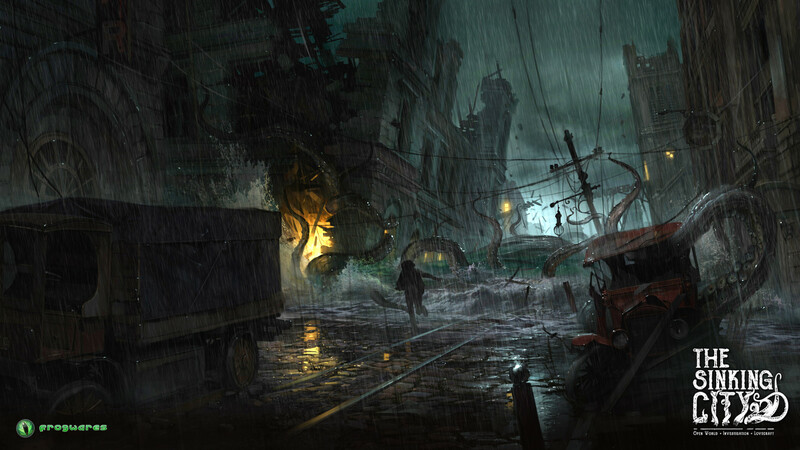 Our open world, investigation, Lovecraftian game. 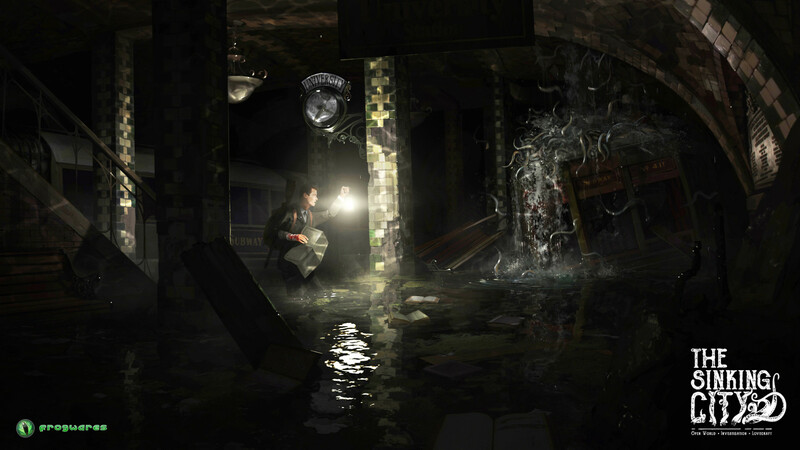 Yes, that’s correct: Open World, Investigation and Lovecraft. It will be bigger than anything we’ve ever made and we feel that opening up –freeing– the investigations in a whole city is the right next step for us. We also believe that Lovecraft’s universe and the Cthulhu Mythos are exactly what we should base our game on. The Lovecraftian/Cthulhian setting has been dear to us for years. In 2016, we’ll celebrate the 10 year anniversary of the Sherlock Holmes: The Awakened launch. The launch of a Sherlockian/Lovecraftian adventure, and a game that was regarded as a milestone in narrative adventure gaming. We are thrilled to have been given the opportunity to innovate with the games we love. We hope you’ll also like what you’ll see. 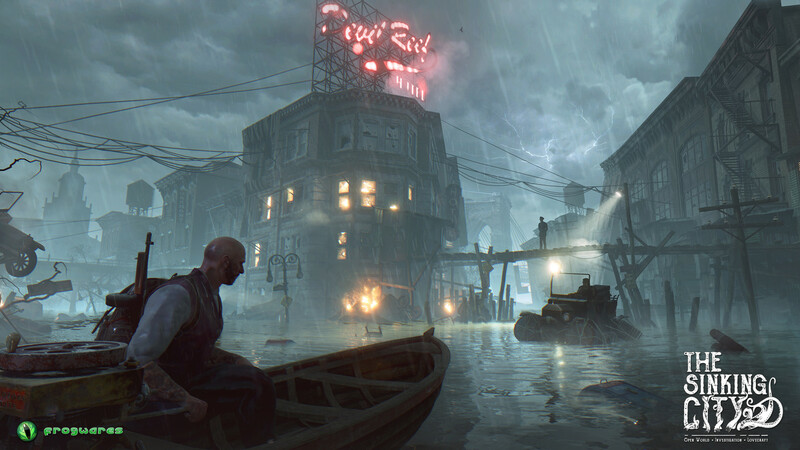 Finally, the GDC is coming up very soon and we’ll be presenting both our games, Sherlock Holmes Devil’s Daughter and the Sinking City, and showing their demo versions. Please drop us a line if you want to meet us there; the contact page is somewhere around here.